I just finished a shoot for the restaurant Oceana Grill in the New Orleans French Quarter. The owners wanted to show New Orleans food and fun. 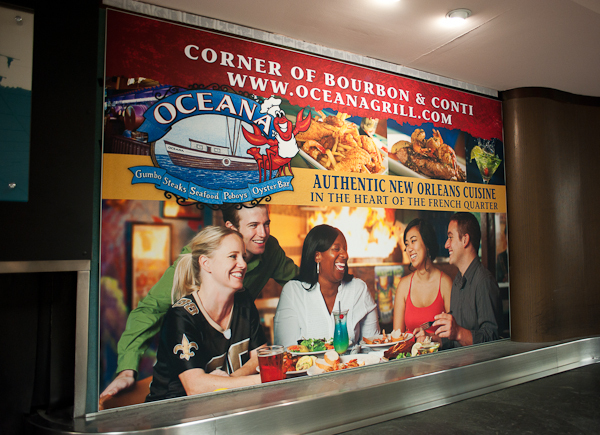 The final ad is 6' x 8' and can be seen in two locations at the Louis Armstrong airport baggage claim. The end result is below.